Memorable – Twenty years later .. He is Hareesh’s favourite violinist and Krishnan and I had attended his concert live with Hareesh some 20 years back … In the intervening 20 years, Hareesh is married and his son will be in college soon.. We both don’t live in Chennai any longer and while parts of the city remain the same, it’s a lot more crowded, and there are many more flyovers and subways .. We managed to get bankrupt and still managed to thrive :). We also managed to be in Chennai when the floods happened .. In these twenty years the man who built the Chinmaya Vidyalaya long back on these grounds where the Chinmaya Heritage centre stands today also passed away and it was very special to sit in the auditorium knowing Krishnan’s dad had walked on these grounds everyday. Twenty years don’t seem as long when you close your eyes and just hear Dr. L. Subramaniam play the violin. And even when you open your eyes and see him, he hasn’t aged a day in these twenty years. So all the cosmetic giants around the world need to just ensure great music is heard by women and they would never age :):):). 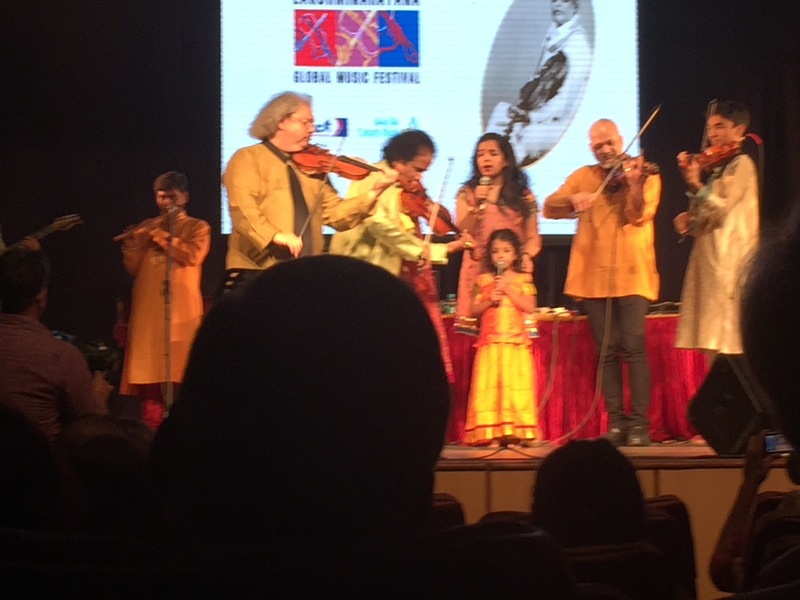 On Monday, Dec 28th, we attended the 24th edition of the Lakshminarayana Global music festival and besides Dr. L Subramaniam and family, there were several musicians who were part of the festival this year. Notable were – Allwyn Fernandez, the guitarist from Mumbai who has been rated amongst the top 10 guitarists in the world by the Rolling Stones, no less; Vidwan Satya Sai on the Morsing is a Guinness record holder, wow ! 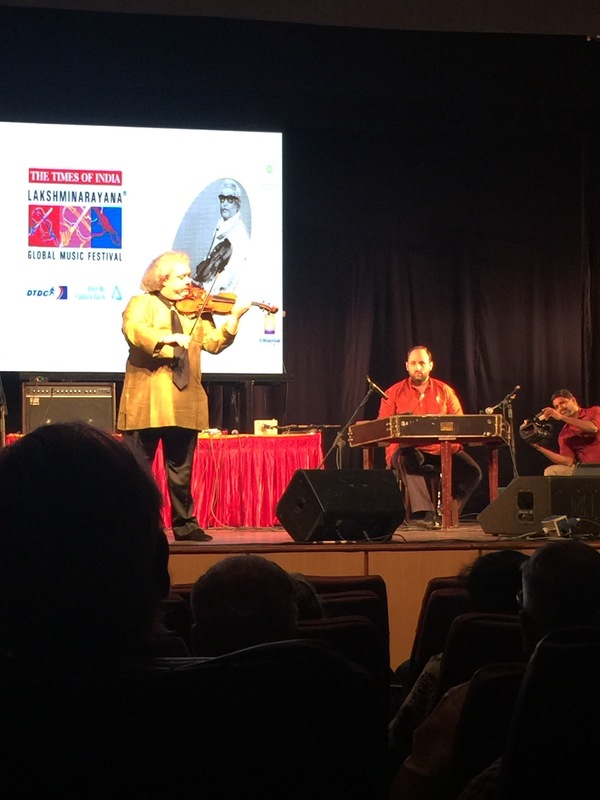 ; Roby Lakatos from Hungary who is a gypsy violin maestro and he was spellbinding; Jeno Lisztes on the Cimbalom, an instrument somewhat similar to the Santoor, but much bigger and a different sound.. And Jeno Lisztes is the world’s fastest Cimbalom player .. Yes, you guessed it, we were in for a great evening. 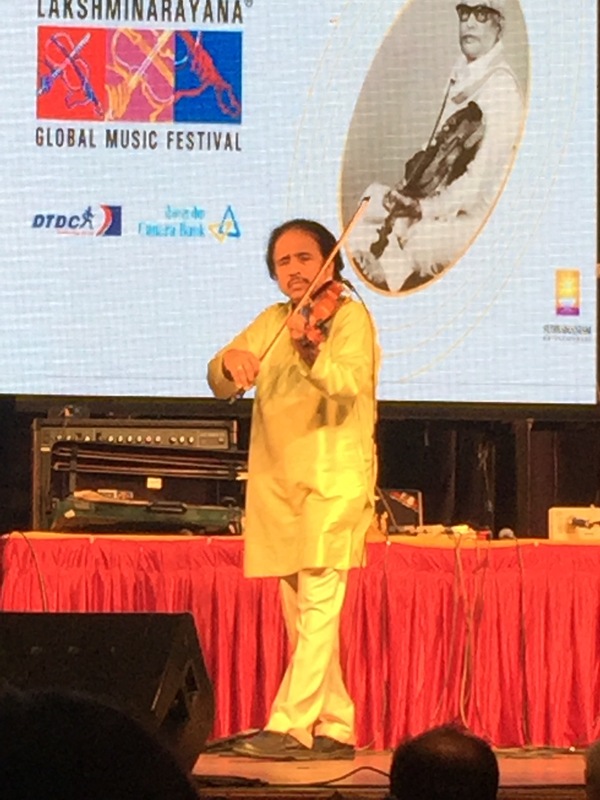 First up was Ambi Subramaniam and he is carrying forward the legacy of his dad and grandfather on the violin, with ease and virtuosity. Then his sister Bindu Subramniam sang and she has a stunning voice, very rich and smooth. Somehow she reminded me of Norah Jones. After Bindu’s performance, Roby Lakatos and Jeno Lisztes took centre stage and how ! Roby played the violin with the bow string and without it and the sounds he created were exquisite… Jeno is part of Roby Lakatos’ ensemble so there was tremendous comfort and tuning between the two. 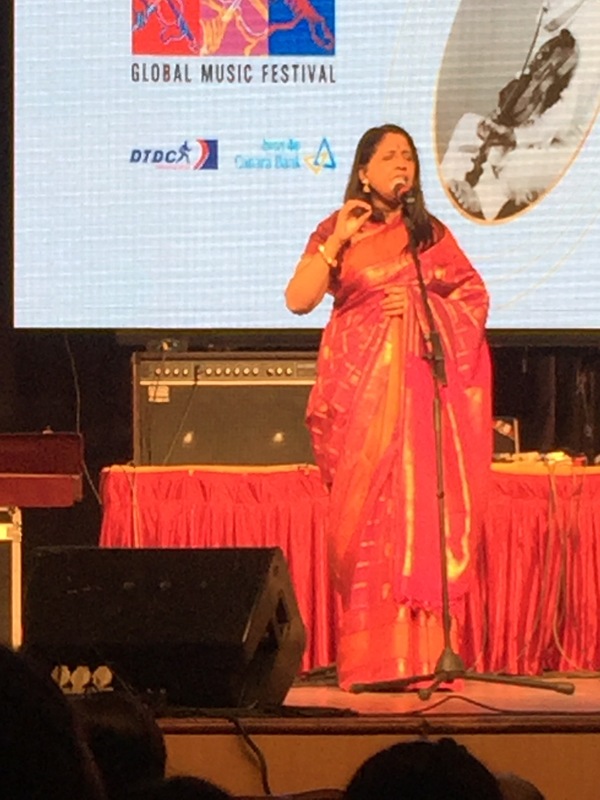 After their performance, Dr. Kavita Krishnamurthy Subramaniam came on stage to sing. I have followed her since her days on Doordarshan and she is magical. She was a little under the weather but she lifted all of us out of any feelings of sadness, that’s how well she sang :). 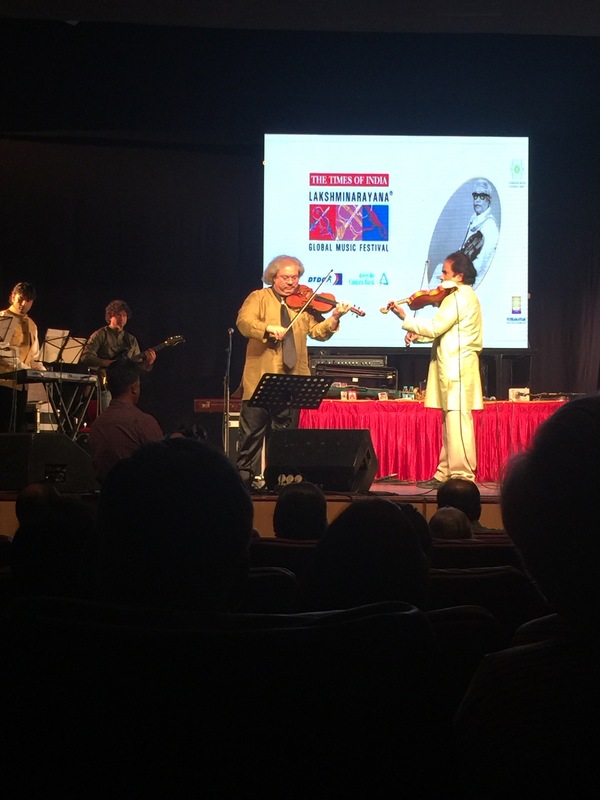 Finally the maestro Dr. L Subramaniam came on stage and something different happens when he plays the violin – even with a broken bow string ! Final pieces were performed with the entire family, including Bindu and Sanjeev Nayak’s little daughter who has all the makings of a show stealer. A wonderful concert and made more special because of the hall. It was nice to have Rajini with us, we hadnt met her since Dec 1st, so we got a chance to catch up as well and since we had passes for four people, we could have her come with us too. Y G Mahendran and his wife, plus former RAW chief Narayanan and his wife were some of the celebrities in the audience. Will certainly watch out for the Lakshminarayana Global music festival next year as they celebrate 25 years. the entire Subramaniam family together including the little star !